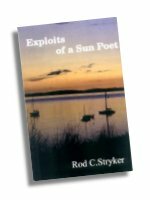 Rod C. Stryker has been writing poetry for more than twenty years. As a founder of The Sun Poet's Society, he has conducted open mic poetry readings and workshops at Barnes & Noble San Pedro Crossing for Several years. 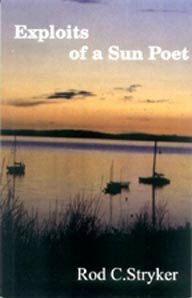 Exploits of a Sun Poet is his second collection of poems. Culled from approximately 1,000 poems Stryker has written over the years, the book features 39 pieces covering a range of topics: serious race politics, sentimental reflections on family life, and a comedic look at Barbie's marriage to GI Joe. Stryker's strength lies in his use of short, descriptive phrases that effectively capture a scene or an event. Whether writing about Taco Cabana, the Valley Drug Mart, or Third and Broadway, Stryker paints vivid portraits of the places around him. "Hell's Cafe" best exemplifies his strength, as he describes a late night gathering of "lost souls and antisocials" who talk their "egos to death only to resurrect them with caffiene and cigarettes." Stryker simply describes what he sees and, with succinct language and inventive metaphors, he evokes strong images in the reader's mind. for the oblivion of hate.